The Studies in Philosophy of Sport series from Lexington Books encourages scholars from all disciplines to inquire into the nature, importance, and qualities of sport and related activities. The series aims to encourage new voices and methods for the philosophic study of sport while also inspiring established scholars to consider new questions and approaches in this field. The series encourages scholars new to the philosophy of sport to bring their expertise to this growing field. 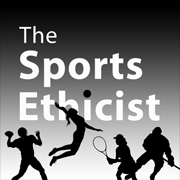 These new voices bring innovative methods and different questions to the standard issues in the philosophy of sport. Well-trodden topics in the literature will be reexamined with fresh takes and new questions and issues will be explored to advance the field beyond traditional positions. The series publishes both monographs and edited volumes. The “philosophy of sport” should be construed broadly to include many different methodological approaches, historical traditions, and academic disciplines. I am especially interested in proposals from scholars new to the discipline of philosophy of sport (either because they are from a discipline other than philosophy or they are philosophers new to the study of sport). Click here for proposal guidelines. If you have an idea for a book but are not ready to submit a complete proposal at this time, please still email me (sportsethicist@gmail.com) to discuss your idea.